I took yesterday afternoon off again and slept for more than ten hours. I'm feeling much better. While I slept, Lisa painted. This is the removable lid for the small wood box that will go on the porch. 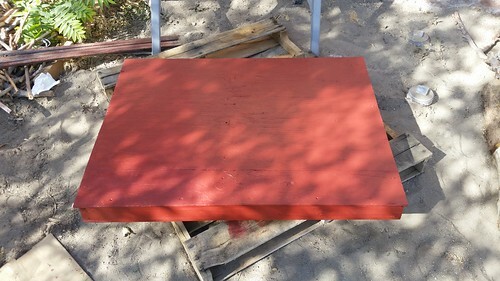 Now we just need to repaint the area where the small wood box goes and we can get it installed and start putting firewood into both the large and small boxes.